You won't drop it. You won't lose it. It's a whole new item for all Zippo lovers. 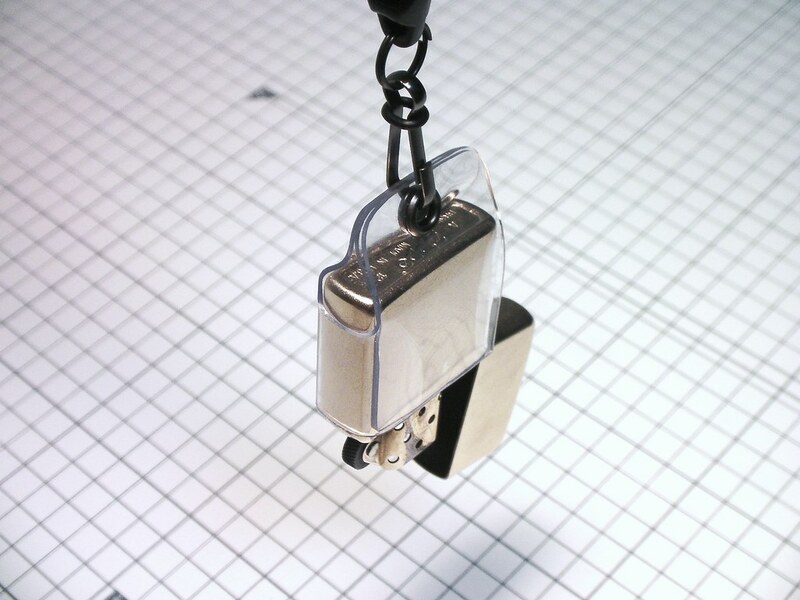 Amazingly enough, it is the only neck strap in the world specially designed for Zippo lighters. TrapeZip is a made-up word from trapeze and Zippo. It prevents your Zippo lighter from falling, so it keeps your precious Zippo out of unnecessary scratches. You remember you put your Zippo lighter somewhere there, and now it is gone. And you think they must have been on their feet. I agree with you. It is not your fault. Your Zippo lighter just might need TrapeZip. No pockets to fit your Zippo lighter? or dislike to do that? It just can not be a problem with TrapeZip. Its simple and clear design doesn't bather the design of your Zippo lighter. The strap can be extended from 60cm/23.6in to 120cm/47.2in in loop, so it may be used as a neck strap to a body strap as well. Your Zippo lighter can be detached from the strap easily by one hand action. There can be whole new creative Zippo tricks waiting to be discovered. It comes with clear TrapeZip logo that has a sense of nostalgic image of a circus. It is only suitable for regular Zippo series, not including slim Zippo nor ZippoBlu. If your Zippo has some metal pieces attached or it is just remarkably bumpy on its surface, it may NOT fit into TrapeZip as it is designed to the dimension of 56.6mm x 38.5mm x 12.8mm / 2.25in x 1.52in x 0.50in.